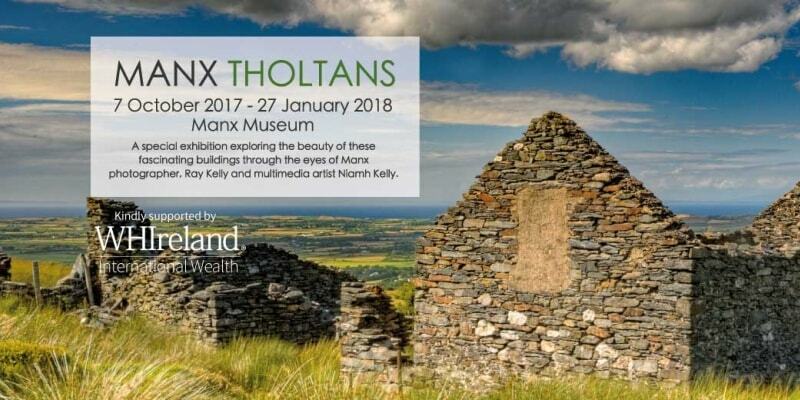 A special exhibition, supported by WHIreland International Wealth, exploring Manx Tholtans will open at the Manx Museum on 7 October 2017. Tholtans, the Manx word for describing the ruins of an old home, are rapidly disappearing from the island’s landscape. In this exciting new exhibition, the beauty of these fascinating buildings will be discovered through the eyes of Manx photographer Ray Kelly and multimedia artist Niamh Kelly. “Having been born a Manx man with a long tradition of farming, I have an interest in keeping the heritage of the Isle of Man alive. I began photographically recording the Island’s Tholtans some thirty years ago; the rate of deterioration is tangible. I felt I had to record them before they disappeared, and so began my fascinating journey which has taken me to many remote parts of the Island. The exhibition will feature photographic prints by Ray Kelly that paint a picture of Manx life in times gone by. The prints are carefully complemented with detailed 3D artworks by Niamh Kelly, including ceramic tholtans skilfully captured in miniature form and a life-size sculpture of a sycamore tree. The passion, care and attention to detail within each of the works is highly evident and provides a testament to the beauty of these buildings. “It’s been fascinating to deliver this exhibition with Ray and Niamh Kelly. Tholtans are a subject of intrigue for me. Upon finding these derelict buildings dotted around the Manx landscape, I wonder about the people who lived there; their way of life and their reasons for leaving – all questions raised in the exhibition. The Manx Tholtans exhibition coincides with the launch of Ray Kelly’s second book, Manx Tholtans Volume 2, which, along with Volume 1, has inspired the exhibition and will be available for purchase from the Manx Museum Shop. Manx Tholtans Volume 1 is also available for purchase now from the Manx Museum Shop.